Paramount Pictures Release A New Poster for the 3D Release of James Cameron's 'TITANIC'! Paramount Pictures have released a poster for their upcoming 3D special release of James Cameron's blockbuster Titanic. The movie will get its special re-release in 3D & IMAX 3D theaters April 6th 2012. Titanic is the second-highest grossing movie of all time & a record holder in receiving 11 Academy Awards. Leonardo DiCaprio & Kate Winslet star as Jack & Rose, the young lovers who find one another on the maiden voyage of the "unsinkable" R.M.S. Titanic. When tragedy strikes & the liner collides with an iceberg in the North Atlantic their love affair becomes an epic & desperate race for survival. 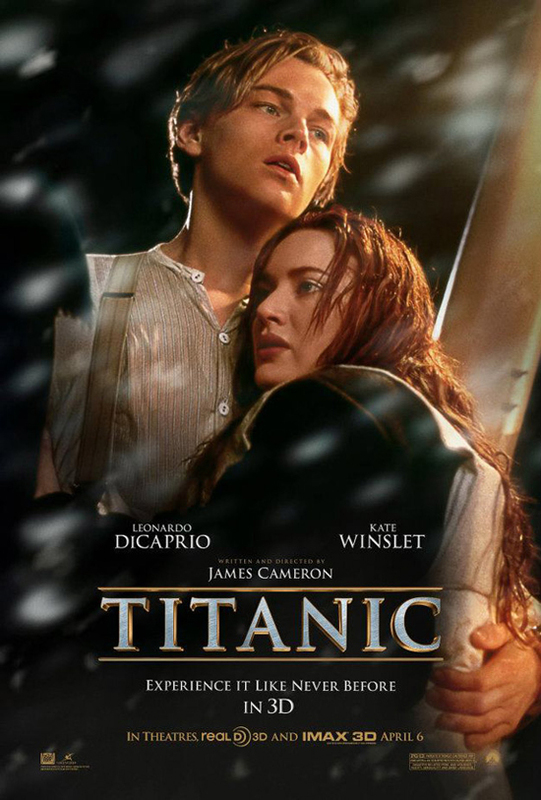 I'm reading: Paramount Pictures Release A New Poster for the 3D Release of James Cameron's 'TITANIC'!Tweet this!